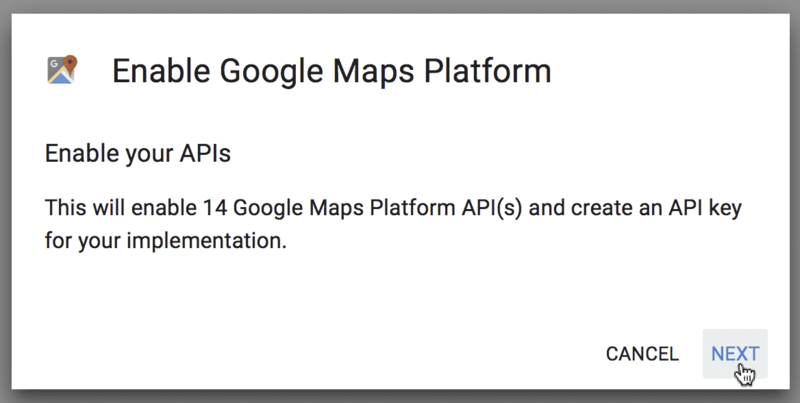 Notice: Beginning on June 11, 2018, an API Key is now required for every map project using Google Maps library. You can read more about this Google guideline here. 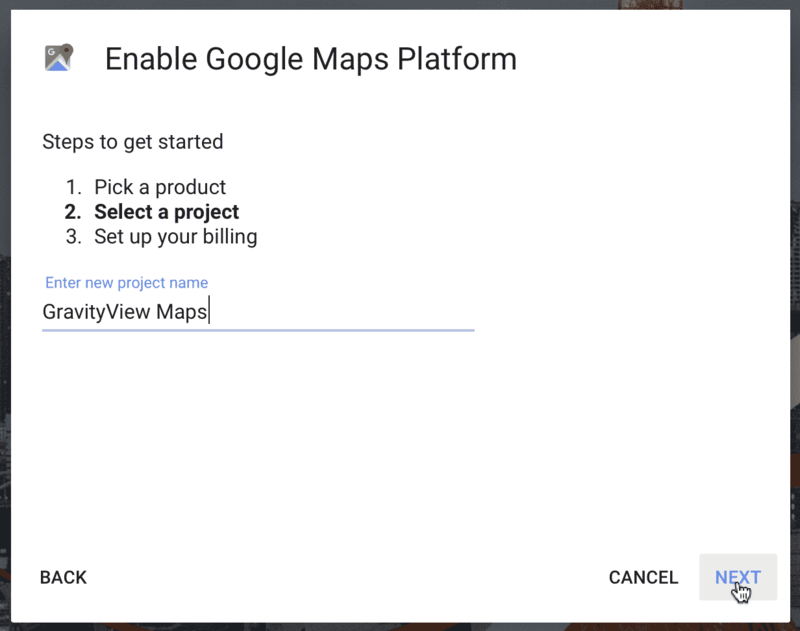 This how-to will walk you through signing up for a Google Maps API Key and adding that setting to GravityView. GravityView Maps uses Google Maps to display your entries on a map, as well as process the address details in an entry and convert them into longitude and latitude values. 1. 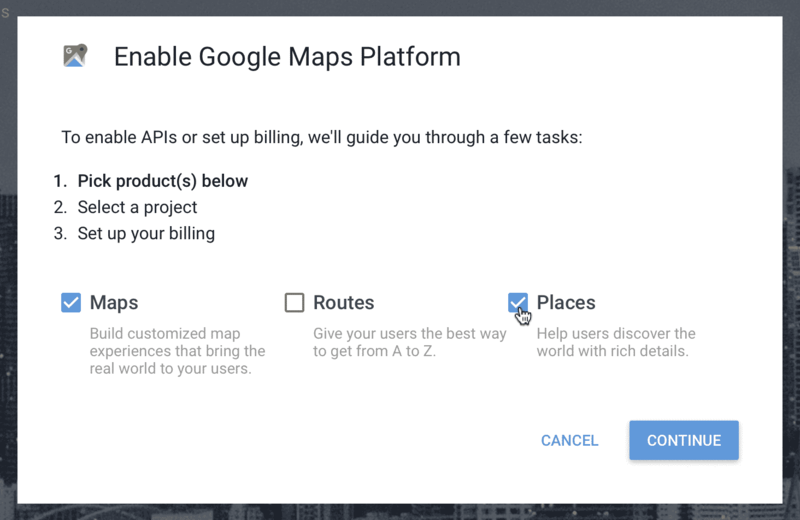 On the Google Maps Geocoding API page, click "Get Started"
Click here to go to the Google Maps Geocoding API page, then click "Get Started"
2. 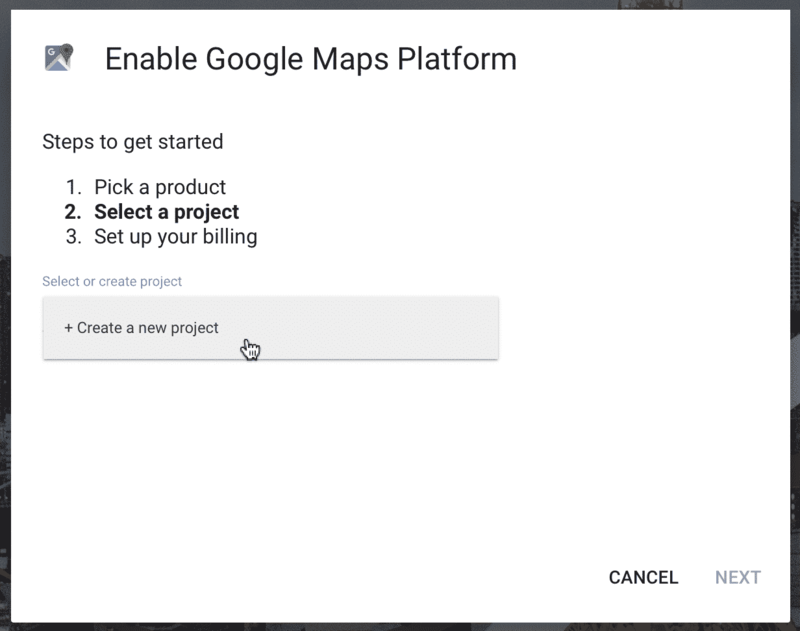 Check "Maps" and "Places", then click "Continue"
You need to check "Places," otherwise addresses will not be properly converted to a map marker using geocoding. 3. Click "Create a new project"
4. Name the project, then click "Next"
We chose to name it "GravityView Maps", but you can choose any name! If you don't have a billing account, follow the instructions provided by Google to create a billing account. Billing information is required by Google, although most small and medium sized websites will never need to pay: Google Maps is free up to 25,000 map loads per day. $0.50 USD / 1,000 additional map loads, up to 100,000 daily. If you already have a billing account configured, click the "Set Account" button. 7. 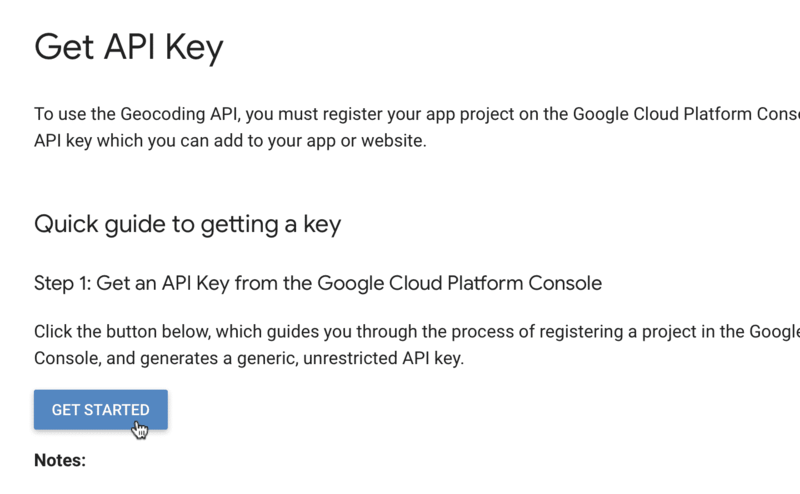 You now have your API key! And then click the Done button. 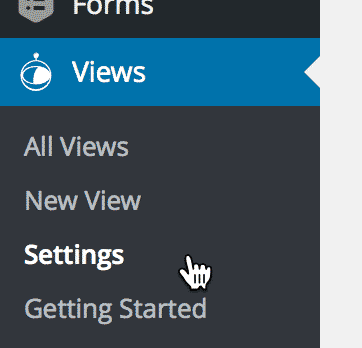 Navigate to Views > Settings on your WordPress site. If you don't see the setting, it's because the GravityView Maps plugin isn't activated. Check your Plugins page. 11. Update your GravityView settings! 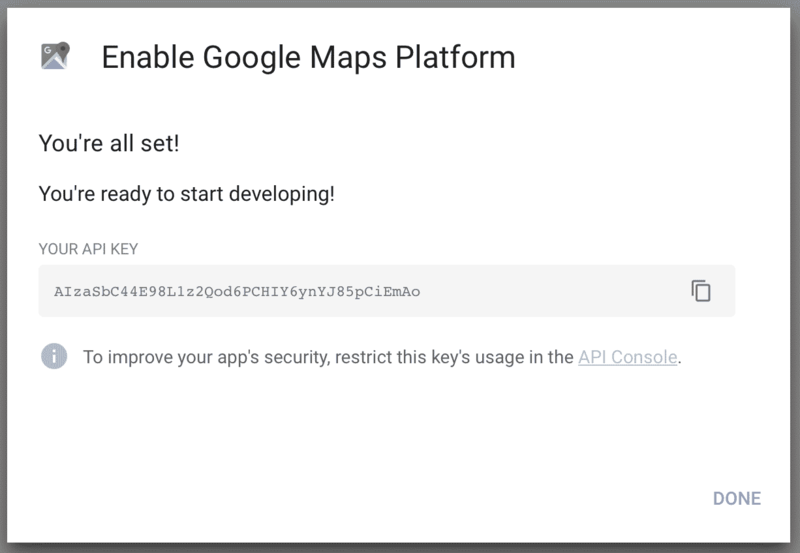 You're all set now with your Google Maps API key. Note: If you receive a "This page didn’t load Google Maps correctly" message after following these steps, your site is likely running another plugin that loads Google Maps onto the page. Either disable that mapping plugin, or provide it with your API keys.